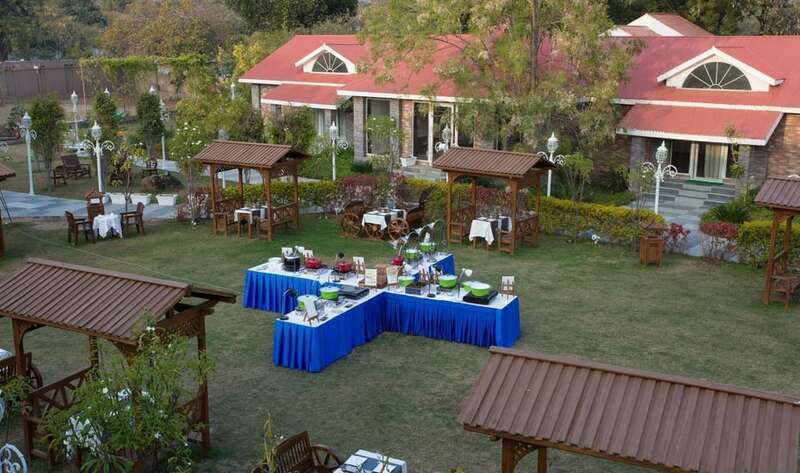 Park Exotica is the only nature resort situated at foothills of Aravali ranges. It is surrounded by Fateh Sagar Lake, dense forest reserves . This kind of topography allows our guests to be an integral part of nature. It shares its boundaries with Udaipur Shilp Gram, which is the center of culture , art and craft of Rajasthan. Safe Deposit Box-Front Desk, Multi Lingual Staff, Smoking Rooms, Laundry Facilities, Doorman, Doctor on Call, Backup Generator, Complimentary Newspapers in Lobby, Gardens, Front Desk. Reading Lamps, Smoking Rooms, Air Conditioning Room, Television Room, Dustbins, H/C Water, , Complimentary Newspaper, Basic Bathroom Amenities, Cable/Satellite TV. User reviews for "Park Exotica Resort Udaipur"